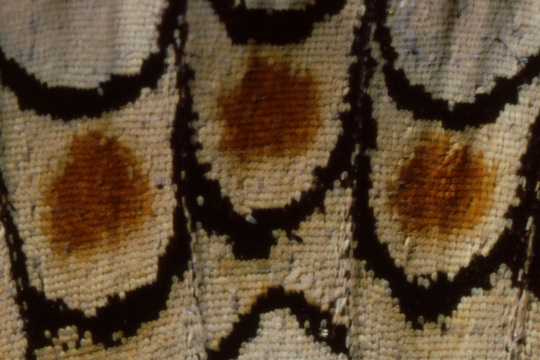 Butterfly wings are covered with tiny scales, which are modified hairs. These scales are essential to maintain the aerodynamic properties of the wing. Without them, they cannot fly. In order to attract butterflies you need a sunny spot in your garden. Gardens that are sheltered by fences or some natural barrier to wind are excellent places for butterflies. Even butterflies that are found in woodlands tend to hang around areas where there is a break in the trees. The highest concentration of butterflies tends to be found where there are drifts of flowers. In other words, larger patches are favoured over smaller patches. If you really want to conserve butterflies, you have to provide habitat for all stages of the lifecycle. The adults require a range of flowers that are rich in nectar and which provide a continuous source of food throughout the season. In addition, it is a good idea to provide mud pools and rotting fruit. A lot more emphasis needs to be placed on supporting the egg and larval stages with host plants. In many cases, it is the lack of larval host plants that is limiting the population size. Monarch butterflies, would clearly benefit from a greater planting of milkweed. The pupal stage of a butterfly is called a chysalis. Some are found hanging from plants while overwintering ones are typically hidden in the litter layer or in the topsoil. Rake your leaf litter onto your beds around (but not over)host plants to protect butterflies in the both the larval and pupal stages as well as many other invertebrates. Also consider providing a log or brush pile to help overwintering adults. Many lists for butterfly plants focus far too much on exotics rich in nectar. These plants take up space that could be occupied by hostplants, which are often both a source of nectar for adults and food for the larvae. The nectar plants chosen here are widely available in nurseries. When choosing plants in regular commercial nurseries, you should try to obtain the species instead of a cultivar, which probably produces less nectar and pollen. If you do choose a cultivar, then try to find older heirloom varieties that are closer to the species. Many trees are also both nectar sources and host plants for butterflies. The names given here refer to a plant genus that contains a group of species. It is important to read the notes on individual species which may differ considerably in their ability to attract butterflies.